O ne of the special features of the Forex market is the ability to use what is called a leverage effect. But what exactly is this leverage effect and how does it work? First we will explain what leverage is, what it is used for, and last but not least, we will cover some practical examples. Understanding this tool is essential for investing in the forex market as it should be an integral part of your trading strategy. Online brokers who are operating in the foreign exchange market, offer their clients leverage. This instrument allows you to speculate with more money than the capital you actually have, in order to make your profits look more interesting. 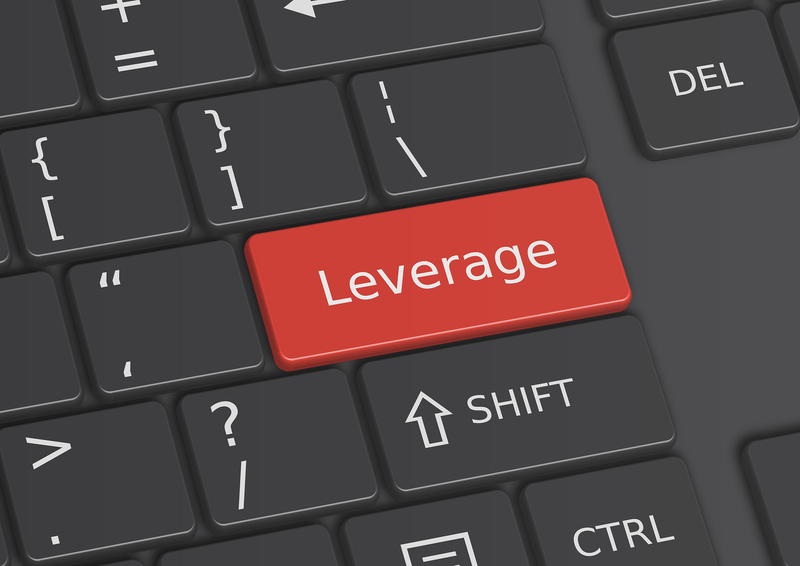 There are several leverage ratios, the most common range from 1:1 to 10:1. A leverage of 10:1 means that you multiply your investment in a currency pair by 10. So where does that money come from? It is simply the broker himself who lends you this money for free. To understand the importance of using leverage when trading Forex, you need to be aware that currency pair price movements are often very small compared to other assets such as equities. Without leverage, it would be very difficult to make a profit, even if you have substantial investment capital. Let’s say you invest $100 on the USD/EUR cross over 0.85 pips. At the time your position closed, the EUR/USD cross reached 0.86 pips. So you would only earn one dollar on this transaction. Let us now imagine the same operation with a leverage effect of 10:1. In this case, your real investment being $100, you will speculate with $1,000. You would thus earn $10 instead of the original $1 gain. Of course, the more leverage you have, the greater the potential gains will be. But this advantage is double-edged since the amount of your losses is also multiplied by the same factor. As we have just told you, it is important to use leverage in a prudent and intelligent way, since your losses are also impacted by this tool. Thus, with a leverage effect of 10:1, the amount of your losses will also be multiplied by 10. If we take our previous example and imagine that our USD/EUR cross goes from 0.85 to 0.84 pips, you would lose $1 without leverage and $10 with leverage. The more leverage you have, the more money you risk losing. With a leverage effect of 10:1, you would have to lose 10 pips on the cross you are trading in order to lose your entire stake, which is exceptional on Forex. It is therefore advisable to use minimal leverage to reduce risk.